ANKARA, February 10. /TASS/. The first positive results have been reached on the supplies of Russia’s dairy and meat products to the Turkish market, Russia’s Ambassador to Turkey Alexei Yerkhov said in an interview with Russian media on occasion of Diplomats’ Day. "There is the first decision on the access of Russia’s meat products to the Turkish market in the framework of an allocated quota but without customs duties. Now talks are underway on how to formalize this decision. I believe such decisions will be reached in the coming weeks," the diplomat said. 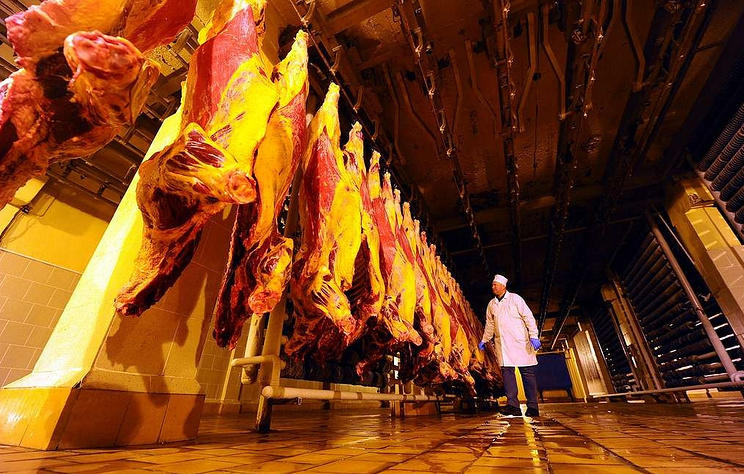 The Russian and Turkish representatives have been discussing the issue of Russian meat supplies to Turkey since 2017. In August 2018, Russia was attested to supply beef to the Turkish market.